Laura & Greg are expecting their first child, a baby girl. In the anticipation for her arrival, they decided to go on their Baby-moon in West Palm Beach, FL. Laura connected with me a few weeks before their scheduled arrival and booked a session to capture this super special occasion. They stayed at Palm Beach Island's boutique hotel, the gorgeous Colony Hotel. I couldn't think of a better place to take their maternity pictures than on the beach just a short stroll from the hotel. We met on the beach, the evening was gorgeous and they were so sweet, kind and funny. I enjoyed capturing the love they have for each other and their excitement to start a family. A Baby-moon is a perfect time to capture your maternity pictures. The vibe from being on vacation, relaxed and enjoying each other, creates magic. 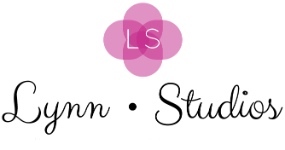 Visit Lynn Studios to book your vacation session in West Palm Beach, FL.